“A faithful friend is a sturdy shelter; he who finds one finds a treasure. A faithful friend is beyond price, no sum can balance his worth. A faithful friend is a life-saving remedy, such as he who fears God finds.” Truly one of the richest blessings in this life after our faith in God and health has to be the absolutely wonderful blessing of friends. Friends help us be ourselves, support us when things are rough and double our joys when we share them. This earthly blessing is compounded many times over when our friends are also friends of the Lord. Nothing sounds better than to hear that we will see our beloved in heaven after this earthly pilgrimage is ended. “Therefore what God has joined together, no human being must separate.” Not all friendships turn into marital commitments, but all true marriages start with solid friendship and all the beauty that is contained in maintaining such treasures in this life. God is love and every time we find, experience and share real, life-giving love, we find ourselves even closer to the one who has made us in total love. God is so good! In this amazing life we sometimes live unforgetfully, there can be found, close to the surface of our comings and goings, unique and altogether lovely gifts in the form of archetypal moments. These are recurrent symbols, motifs and patterns nestled carefully within soul-enriching experiences that actually mold us and fashion even as we struggle or celebrate through them. These are replete in literature, art, and mythology and a list of the most famous could easily start right here, right now. However, today we make yet another bold claim: in everyone’s life, there is an archetypal Ash Wednesday and a Good Friday, perhaps several days like these, that is to say, there are those days of going without, emptiness, distance, silence and the pain of separation through death or some other terrible loss. They rarely fall on the day assigned for any given year, but make no mistake, they are always there, placed strategically on our life’s calendar and appearing at the least expected moment, often with all rage and fury of a mid-western tornado leaving nothing but emotional darkness and mental debris in its wake. What do you do when you find yourself face-to-face with all the worst possible scenarios that you would have ever imagined appearing all at once and then challenged to the degree you would never have expected, to follow your own advice, your own counsel and to live what you have told so many others to do in the face of remarkable despair and trial? You keep walking and wondering and asking God how all this happened so quickly. And while you face microcosmic episodes of death, separation and rejection every day, you also find new and amazing opportunities to learn, to cope and to reveal something remarkable about God, the world, love and yourself. And you don’t ever stop because you know if you do, the villains of self-pity and rage will swallow you whole. These moments will face every human being at one time or another. The goal is to find the greatest amount of emotional and spiritual maturity throughout it all before we get too old not to care enough about anything. This is precisely why the Season of Lent is such a powerful series of days and nights that can and will determine our experience of Easter, the rest of the year but truly, my friends, the rest of our lives—and beyond. Notice the words that accompany the distribution of ashes: “Remember! You are dust and unto dust you shall return.” We might add, for the sake of our present reflection before you today, the following : “Remember! You were made for love and unto love you must return!” Thus we will return to the amazing, remarkable, and incredible plethora of uses for ashes. Let us compare the natural use of ashes in nature and home care with the spiritual value that ashes may have on our spiritual lives if we truly allow them to take root and substance. Prepare for a journey like no other that has the potential of reaping eternal fruit! De-skunk pets and neutralize evil. In those areas of the world where humans and skunks must share space, it is helpful to know that just a handful of ashes rubbed on your dog’s or cat’s coat neutralizes the lingering odor of a most unfortunate encounter with Pepé Le Pew. This Lent, let us name at least one very unhealthy and destructive habit or attachment that is nagging our peace of mind and spiritual aroma. Everyone can. As we move forward in this great season, claim victory over that persistent sin remembering that we are made for love and not for selfishness. When we pray, remember to call out the name of Jesus in our lifted words to heaven. Block garden pests and tireless temptations. Amazingly, firewood ashes evenly spread in garden beds actually repel slugs, snails and a variety of nasty garden pests. Fasting from sugar or meat or alcohol have the real ability to strengthen our resolve against the temptations that bring us down and cause us to doubt God. Declare Lent as a time for real renewal and never give up the fight to resist what we know is wrong, unhealthy and unholy. Victory belongs to the most persevering. Melt ice and cold hearts. 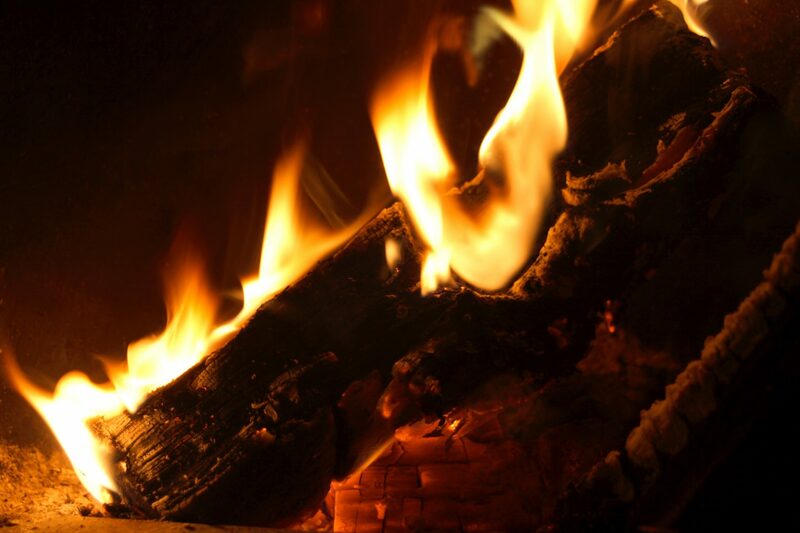 In many parts of the world, wood ashes are thrown over walkways and sidewalks to add traction and de-ice the surface without hurting soil or concrete underneath. The human heart cannot survive without a healthy mixture of justice and mercy, integrity and compassion. Just because you look down on someone does not mean that somehow, even magically, they are going to get up and surprise you. Practicing real and daily compassion makes our faith in Jesus very real because that is how He treats each one of us with divine and endless mercy. An attitude of compassion is a little thing that makes a huge difference. Control pond algae and unhealthy attitudes. As little as one tablespoon of dried ashes in a medium-sized pond adds enough potassium to strengthen other aquatic plants that compete with algae, slowing its growth allowing for the moral floral and decorative life to flourish. Grudges, unforgiveness, hateful judgmental attitudes can easily creep into the soul especially if we have opened ourselves to the harsh words and actions of others close around us. This Lent, make a serious and honest inventory of what is in your heart as often as you can, remembering that an unreflective life is not worth living. If you find something unhealthy, expose it to Jesus the Light of the World in your prayers and thoughts and make slow but serious changes to move forward. More prayer, more power. Enliven tomatoes and spiritual fruit. For the benefit of most calcium-loving plants, experienced gardeners place about a quarter cup of ashes right in the hole before placing saplings or seeds in the ground. This can actually increase the size and tastiness of the fruit by twenty percent according to some estimates. In the forty days of Lenten Journey, make every effort to spend just a little more time with God every day, which has the potential of making all the difference in the world. You make time for everyone and everything that is important to you in this life. Make time for God and keep your special appointment with the one who has never forgotten you. Like a rudder on a ship, this small, seemingly insignificant detail can position the difference between merely surviving to thriving. Shine silver and the soul. A paste of ash and water makes a surprisingly nontoxic metal polisher that makes the best pieces of the cabinet glimmer and shine. A real and honest intention to keep our Lenten promises with the hope of becoming more and more like Christ will allow us to shine before even the more skeptical in our world. Every night before going to bed during these forty days of transformation, reflect on what you have done with what was presented to you. Celebrate when it was great and re-commit for another day should it be His most holy will for you. In everyone’s life there are days that feel just like Christmas and as gloriously, personally triumphant as Easter and just like the other two famous archetypal dates, these bright moments actually come much more often, although, while we are in the midst of fasting and grieving, it does not always feel that way. The truth for all of us today, however, is simple. It is precisely how we handle going without, self-denial, painful self-awareness and courageous wishes to change internally that determines how we experience and employ feasting, friendship and life to its very fullest, the way God intended for us to live it. I can’t believe that I would want it any other way. “He created in them knowledge of the spirit; With wisdom he fills their heart; good and evil he shows them.” Everything and everyone created by God reflects the intrinsic and overwhelming goodness of the Creator. This we must hold fast to our thinking, otherwise the whole fabric of reality will become undone if at the very core all that is, is anything but good because of God. So much more does this apply to each one of us who have the marks and signs of the one who loves us so much and fills us with wisdom. “Blessed are you, Father, Lord of heaven and earth; you have revealed to little ones the mysteries of the Kingdom.” The Readings for today also reflect this very nature of what makes something real and naturally good so that we might choose those pockets of greatness and stay close to our ultimate goal which is final perfection in heaven. “Let the children come to me; do not prevent them, for the Kingdom of God belongs to such as these.” The Gospel sustains this line of thinking and Jesus brings us to the age-old source of wisdom of how one can approach the world and avoid cynicism and hateful pessimism. We must adopt the heart, not necessarily the mind, of a child as we move forward in this life. Trust must be tempered with wisdom and a natural caution for all things because of the nature and presence of evil around us. But the presence of Jesus shines light onto the darkness wherever we may find it so we are at peace and supported by the light of truth which emanates from Jesus Himself. The imagination, total confidence and unconditional love nestled sweetly in the heart of a child is the magnet that brings us closer to a wonderful existence with the Lord. so do one’s faults when one speaks. so too does one’s speech disclose the bent of one’s mind. It is easy to become blinded and even seduced by the standards the world places on what makes something or someone “good.” The standard for us who profess to follow Jesus and carry the cross in our lives is simply and powerfully Jesus. This is true because we can do nothing apart from this starting point just as Christ himself explained it: “Why do you notice the splinter in your brother’s eye, but do not perceive the wooden beam in your own?” There are both great fruit and loud fruitiness all around us. It is up to us, through the indwelling of the Holy Spirit, to be encouraged by the Word of God poured out over us today and continue to look for opportunities to be bearers of good spiritual produce in a world that hungers desperately for them. and has chosen for them the lot of truth. pray to the LORD and make your offenses few. in prayer to the Most High God. in place of the living who offer their praise? but offer your praise before death. shall praise and glorify God in his mercies. his forgiveness of those who return to him! R. (11A) Let the just exult and rejoice in the Lord. R. Let the just exult and rejoice in the Lord. It is easier for a camel to pass through the eye of a needle. “Children, how hard it is to enter the Kingdom of God! It is easier for a camel to pass through the eye of a needle.” We have arrived once again, intrepid readers, to one of the most famous of phrases that is quoted by Christians and philosophers alike concerning the improbability of a large beast of burden being able to squeeze through the most tiny of all crevices. The stunning truth behind this wonderful selection has been treated before in these pages and shall be repeated in a condensed form. Clearly Jesus was not actually talking about a sewing needle but rather about a narrow entrance into the city of Jerusalem, a gate known locally as “the eye of the needle.” This gate was so small that a camel could only be brought through with great difficulty, squeezed through on its knees only after all the load of goods to be sold and traded were removed from its tired back. Unburdened and prayerful is the way to enter the Kingdom. “To the penitent God provides a way back, he encourages those who are losing hope and has chosen for them the lot of truth.” The real thrust of our readings today is quite clear. If we do not practice humility we will grow into haughty people who do not give God or others the time of day or the respect and care that is deserving. The number one cure for pride and a bloated spirit is prayer because we must first acknowledge our dependence and need upon God then realize that we are all on this planet together trying desperately to get to heaven. The camel for us today becomes a symbol for us to remember to uncomplicate our lives from pettiness and the inordinate desire for possessions and get on our knees in prayer as often as we can. The more we do this, the happier we will be. “We have given up everything and followed you.” Today around the world and much more emphatically in some parts like Rio de Janeiro and New Orleans, many are celebrating Mardi Gras or “Fat Tuesday” with an array of spectacular events and parades and foods and festivals that could ever be imagined. The exhortation from St. Peter in our Gospel today almost seems to announce the hope and desire to enter the wondrous time of Lent tomorrow with the onset of Ash Wednesday and mover forward to our eternal reward. “To refrain from evil pleases the LORD, and to avoid injustice is an atonement.” The interesting phenomenon behind today’s wild and colorful celebrations is actually a sober one. The word, “carnival” is derived from two distinct Latin phrases which come to be translated as “say goodbye to the flesh.” In doing so, people declare their seeming dependence of the pleasures of the world, hold them up for the world to see, then only twenty-four hours later renounce them as we begin a forty day journey into light and transfiguration, helping us be more like Christ in every possible way. Celebrate today with an eye on tomorrow when things make a dramatic change for the better. It will be the most glorious Easter experience if we do so. “And your Father who sees what is hidden will repay you.” Let us keep in mind as well as a precautionary and important caveat as we move forward. Lent does not end at the end of the day on Ash Wednesday. It is not even for only a week. It is a journey of forty days and forty nights which is remarkably Biblical and critical. If we truly want to glean all the spiritual and emotional benefits of such a powerful trek, we need to be ready to fall in place with all our hearts and minds and not anything that resembles a half-hearted effort. This is not only a thinly layered attempt to lose weight and look better. The role of hypocrisy is waiting to take center stage during this time and the Gospel was not unclear about the attitudes that must be present if we are to encounter a true moment of lasting integrity. Finally, this Lenten Season is about our relationship with Our Heavenly Father just as it was for the First Lent between Jesus and His Father. Just as the Body of Christ is the Church, so this global initiative to reform and change is all about our love for God and experiencing his reciprocating love for each and every one of us. Onward and upward! “Choose life, then, that you and your descendants may live, by loving the LORD, your God, heeding his voice, and holding fast to him.” For some around us, this obvious choice that is offered by the Lord seems a little awkward. How? Why wouldn’t anyone not want to choose life in this world? Who would even think about choosing death? And here is the problem: some people misunderstand the life choices before them and instead of choosing the very gift of life in the world, they rather choose “living,” that is to say, they would rather let others suffer and die so that they can live the life of selfishness and betrayal that is clearly available and easy. It is similar to the person who claims they are free to abuse drugs and yet are slaves of the very substances they assert gives them freedom. The very opposite is true. Anything or anyone that enslaves is no friend of freedom, nor for that matter, of the Lord. “If anyone wishes to come after me, he must deny himself and take up his cross daily and follow me.” The real question about this life-giving choice of and for life is found replete in the Gospel in the very words of the quintessential invitation Jesus provides for us. The only path to true freedom is to deny oneself and cling to Christ with every ounce of strength that we have. To accomplish this, we embrace our sufferings, heartaches and headaches to be redeemed and find life in the one who is leading us through these forty days and nights. and the Lord will be with you. “This, rather, is the fasting that I wish.” We have now arrived at the First Friday of Lent where we are reminded of that particular Friday when Jesus gave us His entire being on the cross for our salvation and eternal happiness. We are also reminded of the call to fast and go without to strengthen our resolve and our wish to be holy and ever so close to the Lord. Here we can visualize and follow the radical connection between the paths of Lent by which we are made wondrously ready for Easter. “Seek good and not evil so that you may live, and the Lord will be with you.” Fasting assists our prayer life by helping us focus on the things in this life that really matter starting with our relationship with God and spreading into our dealings with one another. This supports our prayer life which in turn feeds our desire to do good and avoid the near temptation of sin that we may grow in holiness and deep and lasting friendships in this life. What we know by now is certain: we cannot do this alone and we need Jesus and each other to make or break this Lent. “He will renew your strength, and you shall be like a watered garden, like a spring whose water never fails.” The Prophet Isaiah reveals more elements of the nature of this Season that have the great potential of making the grandest difference in our lives. In our First Reading of the day, we are clearly told that if we remove ugliness from our speech and selfishness from our mindsets, we can expect with the very promise of God Himself that life will be much better for us and for those around us. “Those who are healthy do not need a physician, but the sick do. I have not come to call the righteous to repentance but sinners.” Jesus crowns this wonderful insight by reminding us that before we can get better and grow in this life we must be honest with ourselves. If we think everything is fine and perfect and just “okay” then we have little hope of any transformation during Lent or at any other time of the year. As we prepare the First Sunday of Lent tomorrow, we could say that self-awareness and personal integrity form the bedrock and basis for an awesome life and full life. God has done His part; the rest is up to us. Responsorial Psalm – PS 91:1-2, 10-11, 12-13, 14-15. “Filled with the Holy Spirit, Jesus returned from the Jordan and was led by the Spirit into the desert for forty days, to be tempted by the devil.” On this First Sunday of Lent, we are alerted to the very core reason for our journey these days. Jesus was in the desert for a very specific and wonderful reason: He is showing us how to live and how to face the temptations of this life. He was strengthened by his fasting and supported by His very love for you and me. The Psalm of today also confirms this belief: “Be with me, Lord, when I am in trouble.” The three famous temptations of Christ could be saddled in the categories that should be more than familiar to us: passion, power and position. These passing commodities in this life can actually aid our demise if we are not careful and lose our focus on the things that really matter in this life which always outlive and outlast our existence here and pass into the next life. “He brought us out of Egypt with his strong hand and outstretched arm, with terrifying power, with signs and wonders; and bringing us into this country, he gave us this land flowing with milk and honey.” Moses knew this firsthand. The chosen people, a precursor of the entire Church of God, was under attack and tremendous burden. The Lord heard their cry and was given yet another chance to find salvation and hope in this life. This “second chance” involves our entrance into the mystical Body of Christ which also has prepared us not only for the forty days of Lent but all the days we have left on this planet. Just like the manna by day and the pillar of fire by night protected all those following Moses through the dessert, the Church protects all within her through the waters of Baptism that put an end to the reign of sin and death around us and assures our arrival to the Promised land of heaven. “For everyone who calls on the name of the Lord will be saved.” As we continue this great and marvelous time of renewal, we call upon the Spirit of God who led Jesus into the desert, who helps us maintain our Lenten focus and who inspires us with love and forgiveness now and forever. R. (John 6:63B) Your words, Lord, are Spirit and life. “Your words, Lord, are Spirit and life.” Today we are also given an added touch to this reflection. Those people in our lives which we treat with infrequent and perhaps unthinking care, could in fact be Jesus Himself. He said as much. His words and promise are better than gold so we can rest assured that all that is presented here is at least worthy of more than casual thought. What if that was Jesus I passed today? What if that person who pains me the most is in fact the Lord watching how I will return responses and invitations to greatness? Let’s see. R. (18B) From all their distress God rescues the just. R. From all their distress God rescues the just. “Our Father who art in heaven” We acknowledge we are His children. “hallowed be thy name” We acknowledge power in His name. “thy Kingdom come” We acknowledge and desire His Kingdom. “thy will be done” We desire to follow God. “on earth as it is in heaven.” We realize there is this life and the next. “Give us this day our daily bread,” We ask for all of our needs. “and forgive us our trespasses,” We beg forgiveness. “as we forgive those who trespass against us.” We pledge forgiveness. “and lead us not into temptation,” We ask for courage and strength. “but deliver us from evil.” We ask for protection from the devil. Sometime today, even late this evening when all is said and done, reflect slowly on the words of this incredible gift of a prayer and allow the Lord Jesus to hold you safe within his most Sacred Heart. The benefits of this leap of faith are then made crystal clear and even more desirable in the Gospel today which re-addresses the nature of Jonah’s mission and our own hopes for a successful Lenten Season. Jesus is the last installment of any hope to return to the most excellent existence that could only possibly be had in heaven, Our life here on earth, much like these forty days of Lent preparing us for Easter, is like an “extended Lent” bringing us to new heights and clarity so that we may continue onward. give me back the joy of your salvation. “Queen Esther, seized with mortal anguish, had recourse to the LORD… Now help me, who am alone and have no one but you, O LORD, my God.” Our Scriptures open today with a dramatic scene in the life of Queen Esther, a most remarkable Biblical figure in the Old Testament, who, at a serious moment in her life, had only the recourse to serious and complete self-emptying prayer that would move anyone to tears. This becomes a great image for us to factor in the way we lift our prayers to God. Do we just rattle-off words? Do we think about what we are saying? Does the level of faith reach deep within our souls? Queen Esther would certainly answer easily. “For everyone who asks, receives; and the one who seeks, finds; and to the one who knocks, the door will be opened.” Prayer is the life of the new heart (CCC 2697) Christians throughout the centuries have maintained three main expressions of prayer: vocal, meditation and contemplation. Together, they make a phenomenal path to peace and holiness, not to mention sanity. Vocal: We are body and spirit, so it is important to express our spiritual feelings outwardly [we speak]. Meditation: The mind searches to understand what God is saying [we think, imagine, desire and feel]. Contemplation: We are alone with the One who loves us. [God speaks, we listen and experience]. The one who asks through vocal prayer, receives; the one who seeks through meditation, finds; and the one who knocks at the door of contemplation, can change the world one soul at a time. In the confrontation between water and the rock the water always wins. Not through strength but through persistence. H. Jackson Brown, Jr. The term, “ides” is not a common household word and may only be recognized by those who know more than average about world history, particularly of the Roman Empire. It literally means the halfway point of the month and was made famous by the Ides of March in 44 BC on which the Emperor Caesar was warned and subsequently assassinated. We could say, then, that today, the midway point of the month of March, has at least some impending and demanding aspects to it having to deal with the following introspective questions: what have I done with my time in the first half of this gift of time and what do I intend to do with the last part of it? This is especially pertinent as we find ourselves nestled well into the great Season of Lent. Let us begin by reviewing the Scriptures of today: “If the wicked man turns away from all the sins he committed, if he keeps all my statutes and does what is right and just, he shall surely live, he shall not die.” Have I truly repented of all evil and malice and selfishness in my life in light of the great call to fasting and penance? “I trust in the LORD; my soul trusts in his word. My soul waits for the LORD more than sentinels wait for the dawn.” Have I truly trusted the Lord Jesus with all my heart and soul and thus experienced peace and calm even through heavy decisions and life demands? “I tell you, unless your righteousness surpasses that of the scribes and Pharisees, you will not enter into the Kingdom of heaven.” Have I been obedient without grumbling or complaining, especially when it was hard to do so? Now, in looking forward to the rest of this Lenten month of March, what could be our guiding principle? : “Cast away from you all the crimes you have committed, says the LORD, and make for yourselves a new heart and a new spirit.” Perhaps we could make a commitment in the next two weeks to recall on a daily basis the great sacrifice Jesus made for each one of us and how that one single event has to make a difference in the way I act especially with my family and those around me. This deep and meaningful shift within us toward the Messiah can determine the kindness, faithful and hopeful living that needs to be seen in all of us who are Easter people purified, as it were, in these absolutely necessary days of cleansing and renewal. to observe them with all your heart and with all your soul. and to hearken to his voice. R. Blessed are they who follow the law of the Lord! when I have learned your just ordinances. “But I say to you, love your enemies and pray for those who persecute you.” Once again, Jesus, the new Moses and Lawgiver, transforms our way of life by exacting upon us which some believe is virtually impossible. However, it is not impossible. In the First Reading, Moses reminds us of the ultimate source of all power in this universe who is the ultimate judge and dispenser of all justice. “This day the LORD, your God, commands you to observe these statutes and decrees. Be careful, then, to observe them with all your heart and with all your soul.” The act of forgiveness and exuding mercy does so much for the heart that displays such intentions that it becomes clear that when the Lord asks us to forgive our enemies, He really and truly wants the best for our souls so that they be freed of any hatred and the scourge of evil. “For if you love those who love you, what recompense will you have? Do not the tax collectors do the same? And if you greet your brothers and sisters only, what is unusual about that?” Our world is definitely filled with people who have been hurt, mocked and humiliated. This would explain why it’s easy to see how hurting people hurt people. As Christians we are charged to remember that all people carry wounds whether they were self-inflicted or not. We all suffer in one way or another and what we truly need is patience and love rather than judgment. Responsorial Psalm – PS 27:1, 7-8, 8-9, 13-14. “He will change our lowly body to conform with his glorified body by the power that enables him also to bring all things into subjection to himself.” Do you realize that you and I have been placed on this earth for a specific reason and purpose? Every day becomes an opportunity to strive and realize that reality, especially when things look dark and bleak. If I have a purpose in life, and I do, then everything that is happening around me today is either a part of that reality and I should stay focused on its messages and lessons, or it is keeping me from my purpose and direction and therefore I should move on and as quickly as possible. This is certainly one very important way we can understand transformation and transfiguration from the hands of Christ who leads through this Lenten Season. “Jesus took Peter, John, and James and went up the mountain to pray. While he was praying his face changed in appearance and his clothing became dazzling white.” Jesus becomes transfigured to prepare the disciples and all of us for His resurrection which in turn prepares us for our resurrection, our ultimate transfiguration. This complete transformative moment when we see Jesus as He exists in total glory in heaven is both an inspiration and goal while we walk and continue our spiritual journeys. We must find in this vision of glory the real hope of true happiness in this world to make a suitable place in our souls and hearts for the message of the Gospel of Jesus. It may take the death of someone very dear to us or some horrendous tragedy or life-altering disappointment to finally take us to the brink of existence to realize that we truly belong to God. Some among us have been blessed from the beginning with a child-like and total trust in God, but for many of us it seems as if we have to grow gradually into that space where we know without a doubt that God exists, that He made me, and that I can trust my entire life to Him. Daniel of our First Reading was one of those totally trusting God-fearing individuals. Yet, he was also ready to beg forgiveness for straying from the fold: “But yours, O Lord, our God, are compassion and forgiveness! Yet we rebelled against you and paid no heed to your command, O LORD, our God, to live by the law you gave us through your servants the prophets.” The two apparently opposing attitudes are actually quite linked in the depths of love and mercy a person who loves God completely understands. Love and mercy are essential elements of a holy, happy and healthy life in Christ. No one can claim seriously that they are “self-made.” That simply is not possible. We did not create ourselves as much as some might insist. Precisely because God created and designed and loved us all into existence means that we belong to Him. We can trust that. “Stop judging and you will not be judged. Stop condemning and you will not be condemned…For the measure with which you measure will in return be measured out to you.” When one trusts the Lord with everything they have, acknowledges their sinfulness and failings before the Lord, they are much less ready to judge and short-change people around them. Thus, the same standards we apply to others will indeed be applied to us, one way or another, sooner or later. Since we deeply and fundamentally belong to God, then we have an even stronger and compelling reason to get along with each other and practice what we preach. Since all have been created by God, then all have an equal dignity, and the more we can recognize that quality in everyone, even if they themselves do not see it, the closer we come to fulfilling the destiny God has invited us to follow. The most beautiful people we have known are those who have known defeat, known suffering, known struggle, known loss and have found their way out of the depths. These persons have an appreciation, a sensitivity and an understanding of life that fills them with compassion, gentleness and a deep loving concern. Beautiful people don’t just happen. What is also remarkably profound about today’s Feast and the Patron Saint of the Church, the Body of Christ, is the lesson or true and unrelenting obedience to the will of God the Father and the acceptance of what lies ahead in our spiritual lives. St. Joseph accepted everything no matter how difficult or mysterious in his vocation and helped raise and protect Jesus the Messiah, true God and true Man. While it is true that there is no objective magic formula for success, there is an unconditional acceptance of God’s gift of life to us and all that it brings. This he lived even unto his death, premature by some estimates. This is why St. Joseph is the Patron of a happy death because the last face he saw on earth was the first he saw in Heaven. May it be the same for us! Go to Joseph, and love him, as they love him still. “Must good be repaid with evil that they should dig a pit to take my life? Remember that I stood before you to speak in their behalf, to turn away your wrath from them.” Sociologist Robert Wuthnow of Princeton University has explored how it is that people make everyday ethical decisions. Many people, he found, perform deeds of compassion, service, and mercy because at some point in their past someone acted with compassion toward them. He wrote, “The caring we receive may touch us so deeply that we feel especially gratified when we are able to pass it on to someone else.” He tells the story of Jack Casey, who was employed as an emergency worker on an ambulance rescue squad. When Jack was a child, he had oral surgery. Five teeth were to be pulled under general anesthetic, and Jack was fearful. What he remembers most, though, was the operating room nurse who, sensing the boy’s terror, said, “Don’t worry, I’ll be right here beside you no matter what happens.” When Jack woke up after the surgery, she was true to her word, standing right there with him. Nearly twenty years later, Jack’s ambulance team is called to the scene of a highway accident. A truck has overturned, the driver is pinned in the cab and power tools are necessary to get him out. However, gasoline is dripping onto the driver’s clothes, and one spark from the tools could have spelled disaster. The driver is terrified, crying out that he is scared of dying. So, Jack crawls into the cab next to him and says, “Look, don’t worry, I’m right here with you; I’m not going anywhere.” And Jack was true to his word; he stayed with the man until he was safely removed from the wreckage. Later the truck driver told Jack, “You were an idiot; you know that the whole thing could have exploded, and we’d have both been burned up!” Jack told him that he felt that he just couldn’t leave him. The Gospel today makes even a stronger case for realizing our responsibilities for the poor and neglected in this world and the serious consequences that await those who live very selfishly and even hatefully while they walk the earth with the many blessings abounding. “My child, remember that you received what was good during your lifetime while Lazarus likewise received what was bad.” The rich man in our passage literally had to walk over Lazarus who was literally covered with sores and longed to eat scraps that fell from the opulent table of the palace in front of which he is begging. This is a powerful Lenten lesson for each and every one of us. Let us all carefully look around our lives to make sure we are not “walking over” people who need us. Negligence is a terrible thing that brings much worse than sores and scraps for those who remain blind. We clearly have been given a vineyard and a charge: You have a life now use it wisely and carefully. This means, among many other, things, that our very demeanor and actions especially around our families and friends, and co-workers alike must in fact radiate the fact that we do believe that Jesus is the long-awaited Messiah and that I have in fact accepted Him here and now. “Who is there like you, the God who removes guilt and pardons sin for the remnant of his inheritance.” It would be more than just a simple sadness if we found ourselves finishing another great Season of Lent and were not in possession with just a little more desire and ease when confronted with the need and call to forgive. And yet, if we were to speak realistically, the lack of ability may equal the lack of desire to even approach any semblance of forgiving someone and letting everything go especially when there is a deep and lasting wound or infraction that is at stake. Why do you think some people will not forgive, at least not yet? Here are just a couple: Some will not forgive another because they want more proof of repentance; others because they are still carrying another hurt from their not-too-distant past and we may have just opened a scab, the proverbial “old wound.” However there is a more deep and inherent reason why some refuse to forgive and it is simple. They have lost the true and essential truth of what Jesus has accomplished for them and for all of us. Redemption! Responsorial Psalm – PS 95:1-2, 6-7, 8-9. “I can see that you are a prophet. Many of the Samaritans of that town began to believe in him. The truth about water is both obvious and critical because it is absolutely fundamental to lasting health, peace of mind and survival. Our bodies are about sixty percent water which, and without it, a person will die within just a few days. Perhaps water is also an important aspect to our spiritual lives while we examine the beautiful readings that are given to us on this Second Sunday of Lent: “Strike the rock, and the water will flow from it for the people to drink.” However, this Scriptural lesson cannot be concerned with just the nutritional aspects of water. The clear connection is with Baptism and the new life that is promised in the Old Testament and then fulfilled by Jesus with whom we travel these days of Lent. “A woman of Samaria came to draw water. Jesus said to her, ‘Give me a drink. '” Just as the human body actually pangs and thirsts for water, the soul also desires fulfillment and complete nourishment that can only be satisfied and found in the Lord Jesus. The remarkable aspect of the scene at the well is that it Jesus asking for a drink. What could that possibly signify? Jesus thirsts for the faith of the woman at the well and He is thirsting for you and me to make a commitment to Him and be completely nourished with His presence and His love. The truth is simple: without Jesus we will die; with Him we will constantly be refreshed in His great love. This is the truth about water. “Therefore the Lord himself will give you this sign: the virgin shall be with child, and bear a son, and shall name him Emmanuel, which means ‘God is with us!’” Today we receive good news for this trying struggle of our wills during the Lenten Season. The goal of finding Jesus and embracing His spirit into our souls forever is coming near. This is the basis of the announcement, or annunciation that we celebrate today. The Feast of the Annunciation remembers and celebrates that moment when the angel Gabriel informed Mary that she had been chosen to be the mother of our Savior while her freedom was completely intact throughout the encounter. This underscores why we wait and fast and abstain during these days so that our hearts and souls will be ever ready for the Lord to enter our hearts and our entire lives to make sense of this life now and later. It also reminds us of the sacred moment when Jesus was conceived in the womb of His mother. It also means that Christmas is now just nine months away! or make void your covenant. or the sand on the shore of the sea. for those who trust in you cannot be put to shame. we fear you and we pray to you. but deal with us in your kindness and great mercy. R. (6A) Remember your mercies, O Lord. R. Remember your mercies, O Lord. and your kindness are from of old. he teaches the humble his way. It is a fair question to ask this time around the Lenten track to wonder what we would do differently if this was our last forty days of fasting and prayer before our final curtain call to heaven. It would certainly be worth considering. Maybe we would spend more time with the Lord, or praise Him for all the good times and the bad, or say the things to the people who mean so much how grateful to God we are for them, and forgive and ask for forgiveness. In our Gospel reading today, Jesus makes an astounding statement: “Do not think that I have come to abolish the law or the prophets. I have come not to abolish but to fulfill.” So nothing is going to be altered from the basic understanding and meaning of the Ten Commandments given to Moses on Mt. Sinai. And He continues: “Amen, I say to you, until heaven and earth pass away, not the smallest letter or the smallest part of a letter will pass from the law, until all things have taken place.” Thus, there is this healthy and inspiring balance we are called to achieve between what is radically, completely and fundamentally true about our faith, and the expression and practice of this gift all the way till we breathe our last breath. We need to be ready to move forward creatively to new ways of understanding our faith and living it out. The traditions of the past are still valid but we must never get bogged down in them to the extent that we do not respond to the clear signs of the times. Tradition can be understood in two ways: either as a fundamental belief that has existed from the very beginning or simply a way of doing or understanding things which has been around for a long time. how will his kingdom stand? “Thus says the LORD: This is what I commanded my people: Listen to my voice; then I will be your God and you shall be my people.” Those who are into music and the recognition some musicians receive for their craft are certainly familiar with The Grammy Awards. They are named such because of the miniature gramophone affixed to the coveted prize. This, moreover has its roots from the trademark image originated from a painting by Francis Barraud which is famously known and entitled, “His Master’s Voice.” The painting famously showing a cute dog apparently listening intensely to the original record player which was then later adopted as the trademark by the Victor Talking Machine Company. According to available publicity material, the dog, a terrier named Nipper, had originally belonged to Barraud’s brother, Mark. When Mark Barraud died, Francis inherited Nipper along with a cylinder phonograph and recordings of Mark’s voice. Francis noted the peculiar interest that the dog took in the recorded voice of his late master emanating from the horn, and conceived the idea of committing the scene to canvas. “If today you hear his voice, harden not your hearts.” What a powerful image we have been given today as we continue our days of Lenten journey. To be so attuned to the voice of Christ and to be so drawn and driven in listening to it no matter what the cost is the goal of all who want to find their way to heaven with the great and powerfully loving assistance of the Good Shepherd. However, this search must not become one of superstition and doubt: “Some of them said, “By the power of Beelzebul, the prince of demons, he drives out demons.” Clearly these people had no idea of who was standing right in front of them. Ignorance is certainly not bliss! You see, there is no website, Twitter account or Facebook page that accomplishes the value and depth of speaking and listening directly with the Lord in daily prayer, strengthened by our daily dose of the Scriptures and Eucharistic nourishment. Let us decide this week to make the time and listen intensely to our Master’s voice. He is always ready to start a conversation. R. (see 11 and 9a) I am the Lord your God: hear my voice. R. I am the Lord your God: hear my voice. nor shall you worship any alien god. “Come, let us return to the LORD, it is he who has rent, but he will heal us; he has struck us, but he will bind our wounds.” Have you ever had the need to return something? It could have been something you ordered through the mail, or perhaps some food item which was damaged or not all that ripe, or even an entree at a restaurant which just did not make the grade. Why did we do that? We did it precisely because it was not acceptable or good enough for our use and/or consumption. Perhaps in this Lenten Season, we could apply a similar application to our efforts to return to the Lord what we want to change or reform. None of us can rationally say that we are perfect but we can also say with much assurance that we are in need of transformation all the time, up until the day we die. This is why humility is such a gift and a basic need for the spiritual journey as well, in and outside of Lent. “Everyone who exalts himself will be humbled, and the one who humbles himself will be exalted.” From time to time, we are given a unique perspective into the disputes which Jesus faced while He walked the earth. Today in the Gospel we find the haughty, arrogant attitude detailed in one of the visitors to the Temple. He was a Pharisee, and Pharisees were very concerned about the national identity of Israel, rooted in the covenant between God and the chosen people. The Torah (or Law), contained in the first five books of the Old Testament, gave concrete instructions on how to live the covenant faithfully. Although they seemed to have meant well, the problem with their position was that their teaching actually robbed the Law – the Word of God, after all – of its dynamism and life-giving power. “Blind guides,” Jesus called them and rightly so because we read today that this particular Pharisee and all his ilk were not justified. Time for a return to sender. For today, how about we send the following? To an enemy, forgiveness. To an opponent, tolerance. To a friend, our heart. To a customer, service. To all, charity, To every child, a good example, To ourselves, respect. Responsorial Psalm – PS 23: 1-3A, 3B-4, 5, 6. “Go wash in the Pool of Siloam” — which means Sent —. Slowing down, I was glad the hot coffee had not spilled over his clothes and with no one else around, I guess I could’ve just left everything as it was, but that’s really not my way of doing things. I saw a mop in the nearby closet and just accepted the fact that this nice, freshly ironed and dry cleaned yellow shirt of mine would be less than crisp and ready for my desk work today. When I turned around, I was so thankful for God’s grace and mercy. That young man was blind. “No you won’t!” came a fierce response from the refrigerated coolers around the corner. It came from an older woman, dressed for work, and apparently for action, who continued, “I saw the whole thing. Get away from there! I’ll take care of it!” And with that she not only paid for my items, but yet another set for me and for my blind friend and a coffee for herself and all three of us sat for about ten minutes talking about nothing.